With the broth I saved from cooking the shio-koji marinated pork, I made ramen. 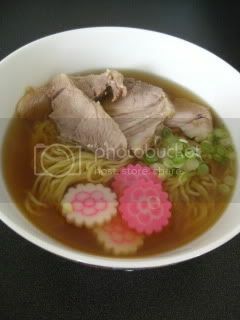 The broth was already so tasty, so I simply adjusted the seasoning with just a small pinch of salt and a tiny drizzle of black vinegar. I cooked the fresh ramen noodles separately and served with the broth and some sliced leftover pork, sliced scallion and nori seaweed.